Many times cities will say that it has no way of keeping track of its sidewalks because there are so many sidewalks. The only way the city claims it can keep track of defects is if somebody gives them notice of a defect in time to fix the sidewalk. The city says without actual notice, it cannot be responsible for anything. One way to counter this defense is to serve a discovery response asking for the number of ordinance violations the city has issued in an area containing the sidewalk. The amount of ordinance violations will show that the city is acting hypocritically since it wants to tell everybody what they are doing wrong vs. taking responsibility and accountability for its own failure to maintain its property that taxes are supposed to take care of. Alex Wolff recently had success in a case when the city refused to give up this information. The city chose to pay the demand instead. If you have a fall on a St. Louis City or St. Louis County sidewalk, give us a call. 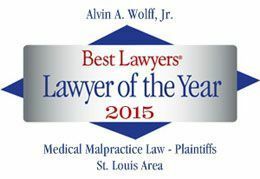 We are also handling cases in the entire St. Louis metro area.